A private lesson is where you, or you and a partner, will have 100% of your instructor's attention. As no two people learn in the same way or at the same rate, private lessons are the absolute most important part of learning to dance. While group classes are an important supplement to private lessons, it can be difficult for your instructor to help you individually when something isn't going as planned. In a private lesson, your instructor can focus on your individual needs, goals and weaknesses and design the entire lesson especially just for you. If you're having trouble with your turns, or your balance, or posture or whatever the case may be, your instructor is giving all of their attention and can first identify what to address, and second give you some tips and tricks to help. Your instructor will also get to know you as a person and your individual dance goals. At the end of each lesson, your instructor will keep a full record of everything you've accomplished and the things you've discussed in order to work on those things again in the future. The beginning stages of your learning are the most important time for individual instruction! This is when you'll develop a foundation in your dancing and possibly bad habits that will be much more difficult to change later. So, we recommend that all new students begins with a private lesson first. Want to give it a try? We are happy to offer all new students their first private country dance lesson for only $15! Adult singles or couples welcome. Anthony is extremely knowledgeable and pays attention to details and helped me be natural and confident on a crowded dance floor. He is very patient and encouraging, using analogies and laughter to help learn posture and steps. He is a pleasure to work with and very flexible when necessary. Anthony is professional and personable; and his attention to detail, reasonable pricing for private instruction, and great personality make Anthony a top choice for dance instruction. I'd highly recommend anyone take country dance lessons with him! Learning various dances with Anthony Lewis as my dance instructor continues to be one of the highlights of my week. I look forward to each dance lesson and always leave feeling successful. Anthony makes dancing not only fun but educational as well. He provides history about each dance, and he relates personal experience from his studio work and travel. Anthony is confident and progressive in his teaching. I highly recommend him as an instructor! My wife talked me into taking a few country dance lessons with her and, at first, I was reluctant. For an uncoordinated guy with no rhythm like me, just the thought of having to get onto a dance floor in public was terrifying. Anthony and Rose are true professionals at what they do. After a couple of country dance lessons, I stopped trying to make excuses why we should cancel our lesson and starting really having fun with my wife. We always look forward to the next country dance lesson and are having the time of our lives together. To all of you guys like me who's wives are bugging them to dance, it's nothing like I thought it was going to be and has really brought a new level of fun and romance into our relationship. Go for it! I came to the dance studio with a friend to take a couple of dance lessons out of curiosity. Anthony created such a joyful, pleasant atmosphere, making every difficult move fun to learn, that those couple dance lessons became weeks and months of wonderful dancing experience. Never thought I would keep dancing for over a year now, still enjoying every minute of it. Thank you, Anthony, for helping me discover new talents I never thought I had, and introducing me to a wonderful world of dance! 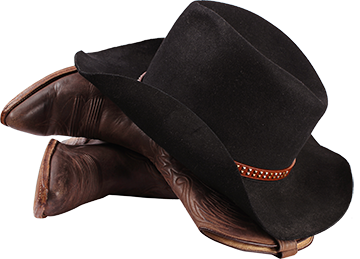 Offering private country dance lessons Houston TX in all 8 country dance styles. We teach country two step dance lessons Houston TX, polka, waltz, east coast swing, nightclub two step, cha cha, triple two step, and west coast swing country dance lessons in Houston TX. Call (281) 541-2121 to schedule the first of your free country dance lessons Houston TX.